Write a review. Are you familiar with Samos? Tell others your opinion. Are you familiar with Samos? Tell others your opinion. Write a review. 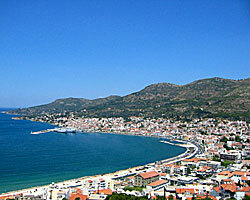 Samos. An island with unique natural beauties. It is situated in East Aegean Sea, right across the shores of Minor Asia. An channel of 1200m (7 stadia in the ancient Greek measure of length) separates the two of them. North of Samos is the peninsula of Erythrea, northwest of it "myrovolos" Chios, while west and southwest of the island we meet Ikaria and the island complex of Fourni. 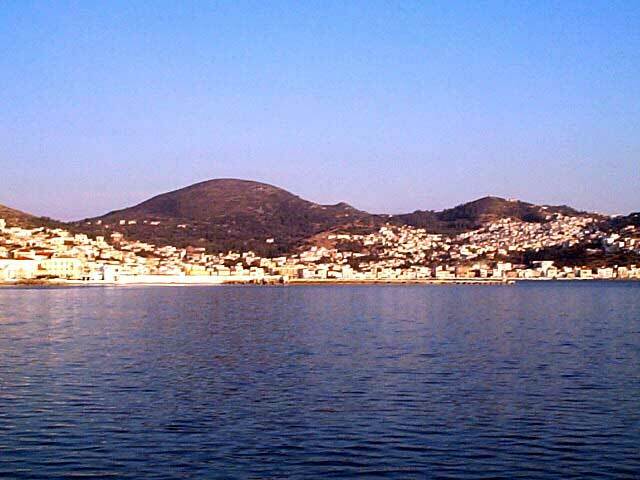 South of Samos are located Dodecanese islands, Agathonisi, Arki and Patmos are the closest to it. 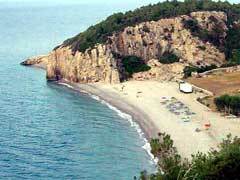 It is an island with green mountains, endless vineyards, which produce the famous samiotiko wine, and lacy shores. Samos is a relatively big island. It is a hilly island of 475 sq. km extend. It has two mountains, the wild and rocky Kerki of 1443m height and the verdant Ambelos or Karvouni of 1160m height. Samo's ground is rather fertile and in combination to the temperate climate - cool summer and warm winter - creates the ideal conditions for the cultivation of olive groves. It is not accidental that Samos' wine is renowned from ancient times for its fine taste. Even today, wine remains the main product of Samos. Sun is shining all over the island for more than a semester, during summer season, when clouds are rare in the sky. 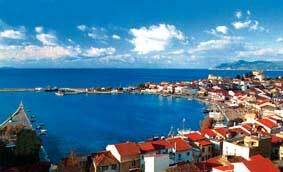 Samos is an island with age-long history. 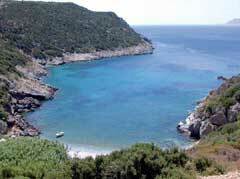 According to mythology, in this Aegean island, in the banks of river Imvrassos, goddess Hera was born. Today, in this location visitors can see the remains of a temple dedicated to her. It is an imposing building, one of the biggest and most important of its era. One of the most famous philosophers and mathematicians of ancient times, Pythagoras, lived in Samos. The astronomer Aristarchos and philosopher Epikouros also came from this Aegean island. Samos' tourist infrastructures satisfy all demands. Wonderful beaches. modern hotel units, luxurious rooms- to-let complexes in Vathi, Karlovasi, Kokkari, Pythagorio, as and all around the island, create the best conditions in order to have an unforgettable holiday. As for entertainment, options vary and, in combination to the culture of the island, leave visitors with a sweet taste.